Looking for quality INFINITI tires and tire services? 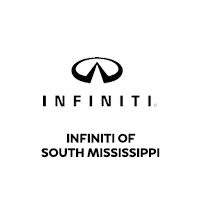 Visit INFINITI of South Mississippi today! Our service technicians are proud to provide drivers near D’Iberville, Mississippi with top notch vehicle maintenance and servicing! Properly maintaining your tires extends their lifespan and helps to even your vehicle’s tire wear. Save money by reducing a number of tire purchases you have to make by receiving proper maintenance on your tires at our D’Iberville dealership. We strive to provide you with great tires and ensure that you leave our dealership driving a car that is both safe and adequately functional. Whether you are looking for a tire rotation and balance, or a new set of tires for your INFINITI, INFINITI of South Mississippi is the place to receive top notch tire service at a great price. Visit INFINITI of South Mississippi for your tire servicing needs! If you have any questions or concerns about INFINITI servicing and would like to speak with a service professional, feel free to contact us at your convenience. Schedule a service appointment online now. We offer excellent tires and expert tire servicing that’s available to you today!